Book boxes, as outlined in this article about moving supplies, are made of a very durable type of cardboard that makes them different from most all-purpose moving boxes. They can be used to transport all sorts of heavy objects, not just books. Try them out with canned food, electronic accessories, or kitchen appliances. They have cut-outs on their sides to slide your hands through and easily transport around. Book boxes are not expensive, but anyone with an extensive library collection could stand to save a few bucks by checking their local bookstore or library first, where extra book boxes are sometimes just thrown away. Bookstores in particular have tons of moving boxes for books, or boxes that their books were just shipped and arrived in. They don’t have to be tossed out! They can often stand to be reused by people who are in the process of moving—just like you! 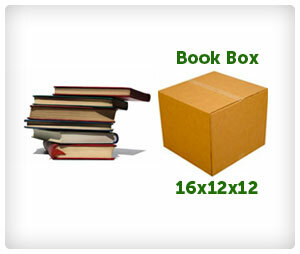 Additionally, for the extra innovative mover, beer boxes can also work as a substitute for traditional book boxes. They work in the same way, with cardboard that is noticeably thicker and handles on the sides that make for easy carriage and transportation. Learn more about little things you can do to save money on your move.